Parliamentarians and experts gather in the Argentine capital for the Global Forum for Combatting Antisemitism. An increase in education, closer monitoring of the internet and media, new legislation, and interfaith dialogue are needed to combat anti-Semitism, a global meeting against anti-Semitism was told in Buenos Aires. Parliamentarians and 250 experts from 17 countries in the region came to the Argentine capital for the Global Forum for Combatting Antisemitism, a biennial gathering for assessing the state of anti-Semitism globally and formulating effective forms of societal and governmental response. The two-day assembly, meeting for the first time in Latin America, opened Sunday. Also for the first time, a non-Jewish group -- the Hispanic Israel Leadership Coalition, an evangelical Christian organization -- was a co-organizer. 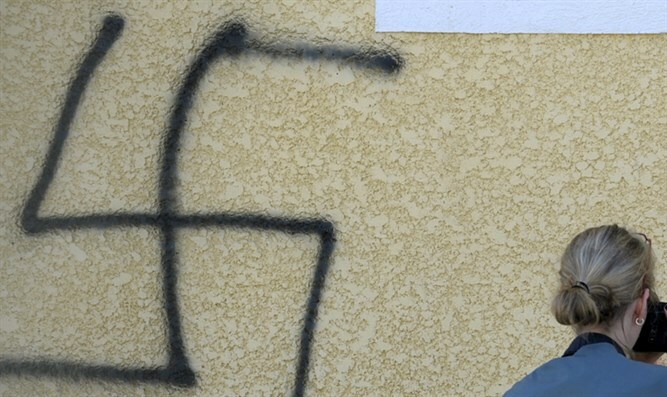 Gideon Behar, director of the Department of Combatting Antisemitism at Israel's Ministry of Foreign Affairs, told JTA that non-Jews are essential in the battle against anti-Semitism "because it is an international problem and not only a Jewish problem." On Saturday night, Bramnick hosted a Celebration of Israel event at an evangelical church in Argentina. Ira Forman, the U.S. special envoy to monitor and combat anti-Semitism, is among the participants at the Intercontinental Hotel gathering. Among those joining him are Argentina's vice president, Gabriel Michetti, and minister of social development, Carolina Stanley; Colombian Supreme Court Justice Camilo Montoya, and Uruguay’s education and culture minister, Maria Julia Muñoz. Other co-organizers of the annual forum include the World Jewish Congress through its regional chapter, the Latin American Jewish Congress, and the Israeli Ministry of Foreign Affairs. At the first panel on Sunday, award-winning Uruguayan publicist Pipe Stein presented a campaign that he created to erase racism in language for the Afro-Uruguayan Culture House. “The racism that the black people in Uruguay suffer is also my problem, just as anti-Semitism is also a problem in society,” he said. On Monday, forum participants are scheduled to attend the ceremony commemorating the 22nd anniversary of the AMIA Jewish center bombing before meeting at the rebuilt AMIA building for the last session, which is dedicated to presenting an action plan for the region. A youth forum of 25 representatives from Argentina, organized by the state's National Institute Against Discrimination, Xenophobia and Racism, also is participating in the forum.